Linny D. Vine, a Moss Street regular, with her vibrant canvases. ​For 30 years, you’ve seen them on Moss Street, brushes in hand, creating that mysterious thing called art. 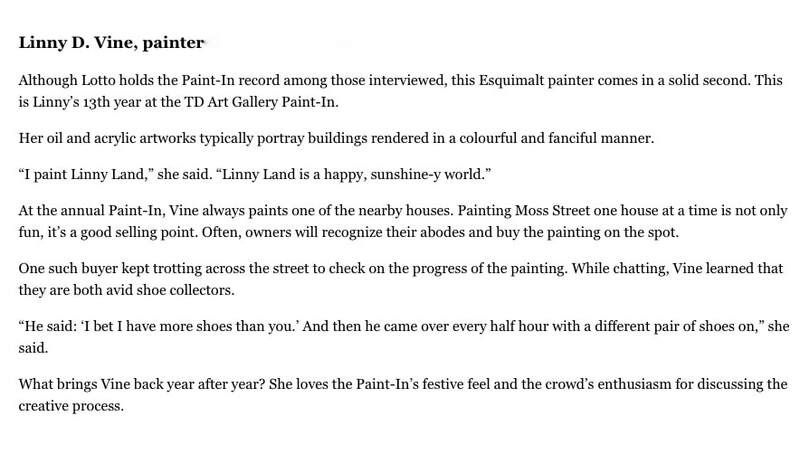 But what is it really like to be a painter at the TD Art Gallery Paint-In?